Upholstered furniture gets a workout. It doesn’t take long before dust, crumbs, and stain cause it to look worn. Blemishes can’t be avoided, especially if you have children or pets, but they can be fixed. 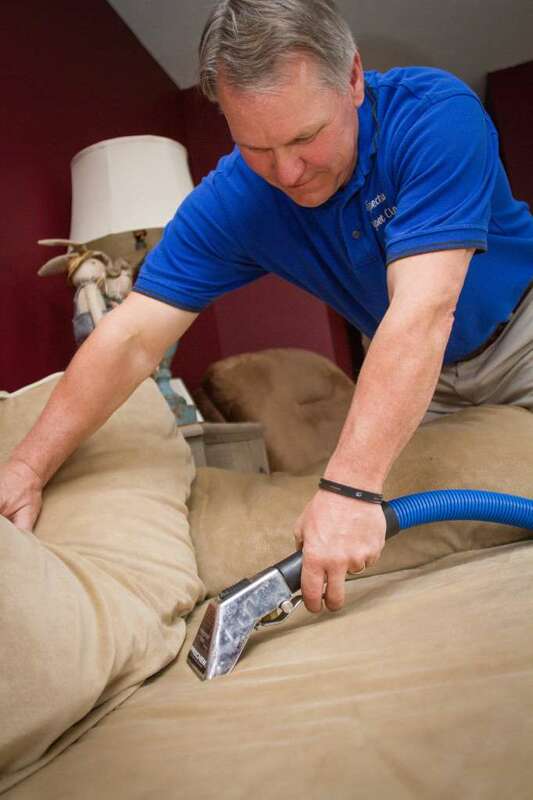 Spectrum’s upholstery cleaning equipment can rejuvenate your furniture just by removing the accumulation of dirt and debris that regular vacuums leave behind. Our certified technicians test and examine your fabric prior to cleaning to prevent color loss and bleeding. This also ensures that proper fabric size is maintained. Please note that your fabric requires several hours to dry after cleaning. We can clean your upholstery in your home or other locations because our truck mounted upholstery cleaning system is self-contained. Ask for 3M Scotchgard to protect your beautifully cleaned furniture upholstery!